On the Ratha Saptami day, a kolam or figure of Chariot Surya with 7 horses is drawn in front of the house, or in the puja area, early morning and pooja is offered to Bhagavan Suryanarayana. 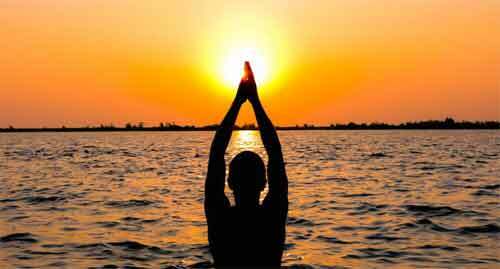 The mantra that is chanted on the day is Gayatri mantra, Surya Ashtottara Shatanamavali, Aditya Hridayam etc. 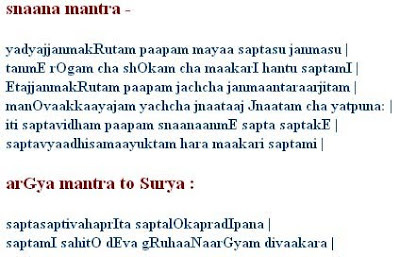 Below is a collection of mantras to be chanted on Ratha Saptami. You can chant anyone mantra 108 times.